The dog (canis lupis familiaris) is one species which over the world has over 1000 different breeds. Dog breeds developed over hundreds, maybe thousands of years, to fulfil specific functions, such as the ability to run fast, hunt for prey, pick up birds, pull sledges, guard property, search and rescue, etc. Aside from this dogs are the natural companion for humans, and a close relationship between our two species has developed over millennia. Towards the end of the 19th century a new hobby began to emerge: dog showing. People with leisure time to spare gathered socially and paraded their pet dogs in a competition to find the most beautiful dog. Later, this developed into competitions to find the best specimen of a particular breed. The first Crufts dog show took place in 1891 and the idea of a ‘purebred dog’ began to take hold. Purebred dogs were regarded as somehow better than mixed breed dogs, which were (and still are) referred to as ‘mongrels’. The Kennel Club was founded to run dog shows and make the rules for breeding and showing. 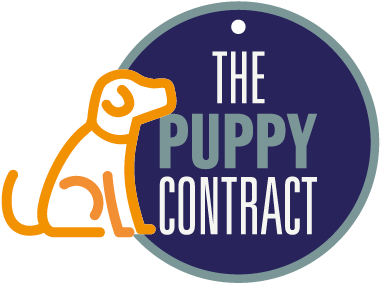 It also registers all pedigree dogs and issues pedigree certificates so that a dog’s ancestry can be traced. In order to maintain ‘purity’ each breed had a written description of its size and appearance, called a breed standard. Once a breed had been established the stud books were closed. This means that in order to breed a purebred dog you must only breed within this closed gene pool. Further selection took place due to the competitive nature of dog showing – everyone trying to breed from dogs which had a Champion (or many) in its pedigree. Certain dogs which were greatly admired were, and still are, over used – the so called ‘popular sire syndrome.’ In this way a breed’s gene pool becomes narrower and narrower, and if a popular dog happens to carry faulty or disease causing genes (gene mutations) this will be spread far and wide throughout the breed population. Genes are inherited in pairs, one each from the dam (mother) and sire (father). For many diseases a dog would need to inherit a deleterious (harmful) gene from both its dam and sire. The narrower the gene pool in a dog breed the more likely this is to happen. Generally speaking, a healthy species is one that has a great deal of genetic diversity, like humans. 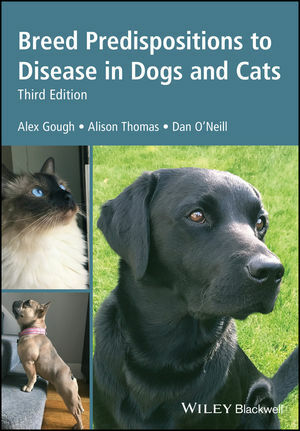 Genetic diseases do occur in humans but they are rare, whereas in dog breeds a genetic disease can affect a large proportion of the population. So, are pedigree dogs a bad thing? No, not necessarily, and most dog owners will have preferences about the type of dog they have as a pet. Obviously the dog would need to fit in with their circumstances and lifestyle. There are ways that you can retain most of the dog breeds, if care is taken by breeders and breed clubs to have a proper breeding strategy. The aim of this would be to maintain as much genetic diversity as possible within the breed. Using as many males as females in a breeding population. Avoid the ‘popular sire’ effect. Avoiding incestuous matings. No matings closer than cousins should ever take place. Using the Kennel Clubs Mate Select programme to find out the COI of any proposed mating. Check this with the breed’s average COI and only breed when the COI result will be lower than the breed average. Analysing parental pedigrees before any mating and avoiding matings where the same name appears on both sides of the pedigree. Using assortative mating (mating unrelated parents who are similar for the desired traits) instead of inbreeding/line breeding. Using at least two of a litter for future breeding rather than just one (the ‘best’ one). Out crossing within a breed rather than using dogs from one kennel. Ideally this should include dogs from overseas populations. Breeding for balanced traits (health, vitality, temperament, working ability, intelligence, structure, and type) rather than focussing of one or two traits. Occasionally breeding to a related breed (for example, Cavalier King Charles Spaniels to say a Cocker Spaniel). No-one would know the difference in a couple of generations. If proper care was taken with our dog breeds along these lines the risk of genetic diseases would be much lower. Needless to say, any dog breed which encourages unhealthy physical traits should be bred back to a less exaggerated type. If necessary the breed standard should be re-written to prevent interpretations by breeders and show judges that are harmful to the dog.